The State is an example of competitiveness, productivity, economic and social development. 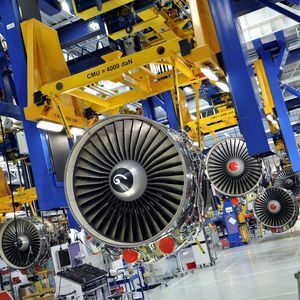 In recent years the state of Queretaro has become the most important aerospace destination in the country, receiving little more than 45% of foreign direct investment (FDI), which has arrived to Mexico’s aerospace industry. Within the framework of the seventh edition of Mexico’s Aerospace Summit 2017, the editor of MexicoNow, Sergio L. Ornelas Ramírez, pointed out that Queretaro is an example of competitiveness, productivity, economic and social development. The Secretary of Sustainable Development of Queretaro, Marco A. Del Prete, reported that the State occupies the fourth place nationwide in the export of aircraft parts and is the first importer at a national level with 22.4 million dollars. He explained that Queretaro’s aerospace industry consists of 85 companies, which have to do with the manufacture of landing gear, stabilizers, structures, insulators, turbines, maintenance services, etc. Del Prete said they will soon inaugurate Queretaro’s National Center for Aeronautical Technologies, a research and development center focused in promoting the competitiveness of local and national companies, which will be developing materials and structures, with the aim that in the future it will be possible to develop, alongside with the Army, the first Mexican plane. Recently, the Financial Times ranked Queretaro fourth place worldwide in development of the aerospace industry. Finally, Del Prete reported that the state of Queretaro is carrying out, in coordination with the FEMIA, a precise map of the aerospace sector to determine and identify opportunity areas at a national level, to promote the training in control management, to strengthen the methodologies of continuous improvement and to find that through this type of business meetings small businesses are also trained.